I’ve never been a chocoholic. When I’m not eating sushi, I’m more of a bitter greens, pickled anything, charcuterie, good whiskey, savory pie and puff pastry girl. But it’s almost impossible not to think about chocolate on Valentine’s Day. For me? The choco-heart tradition is dipped in memories of my Aunt Ruth. Ruth had the loudest laugh, the thickest auburn hair, and the worst record of timeliness for any family gathering. She was always late to the party…always. But then again, she WAS the party. When Ruth came in, her laugh came too, along with armloads of presents for all us kids, and the scent of her perfume, faintly interlaced with the smoke of her cigarettes. Ruth adored a good joke. She’d beg us to tell them, repeat them, tell some more. And then she’d tell her own, invariably forgetting punch lines after a glass or two of gewurtztraminer. Valentine’s Day gatherings with Ruth meant heart-shaped paper boxes stamped in gold, with satin bows, lace trim and little frilled paper cups full of chocolate covered cherries. If Ruth were around, I think she’d like these very-cherry home-made chocolates as much as I loved those frilly boxes. To make the chocolates, I use pitted stem-on Italian Amarena cherries (which you can find in a cute, 16-ounce jar at Trader Joes.) I wrap the cherries in fondant made with confectioner’s sugar, sweet butter from pasture-raised cows, best-quality cream and a little pure vanilla extract, and then dip them in high-quality melted semi-sweet chocolate. You’ll want to make these at least a few days before Valentines Day. Once the chocolate has set up, you’ll put them in an airtight container in the fridge. After a few days, the fondant around the cherries inside has a chance to soften and liquefy a bit. Valentine’s Day + chocolate is the classic food+love combo. 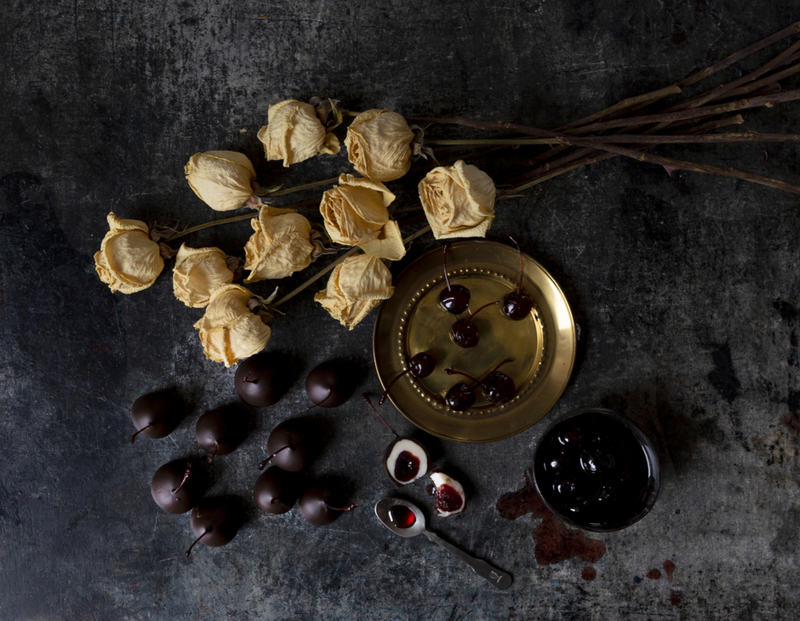 If you’re going to do chocolate this year, do it with these darling chocolate-covered cherries. They’re easy to make, taste delicious, and like so many good things, they get better with a little age. Drain the cherries. Save the juice to sweeten yogurt or mix into a cocktail. In the bowl of a stand mixer with paddle attachment, add the confectioners' sugar, softened butter, salt, vanilla extract and cream. Beat until a smooth dough forms. Remove the fondant and shape into a flattened disk. Spread your clean work surface with a sheet of parchment paper. Place the fondant on the paper; cover with another sheet of parchment. Roll the fondant out as thinly as possible. Remove and discard the top sheet of parchment. 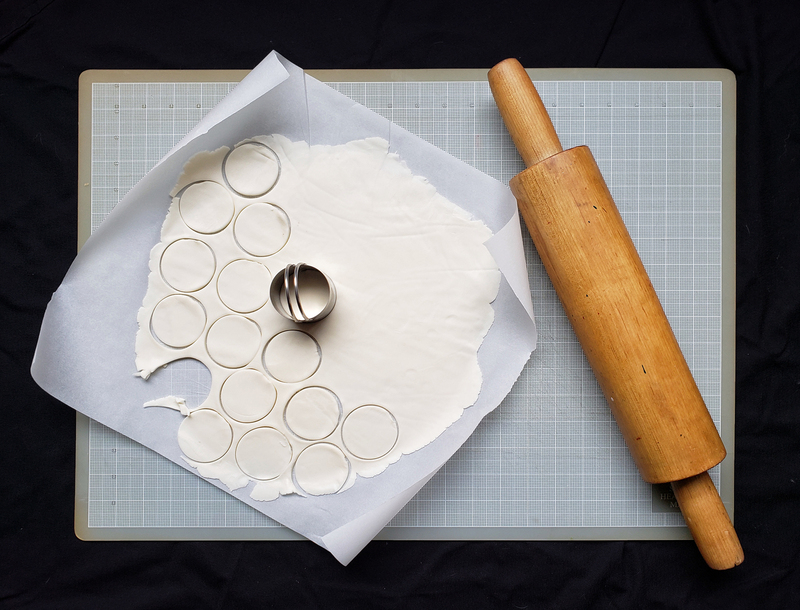 Using a 1 1/2 inch round cookie or biscuit cutter, cut the fondant into circles. 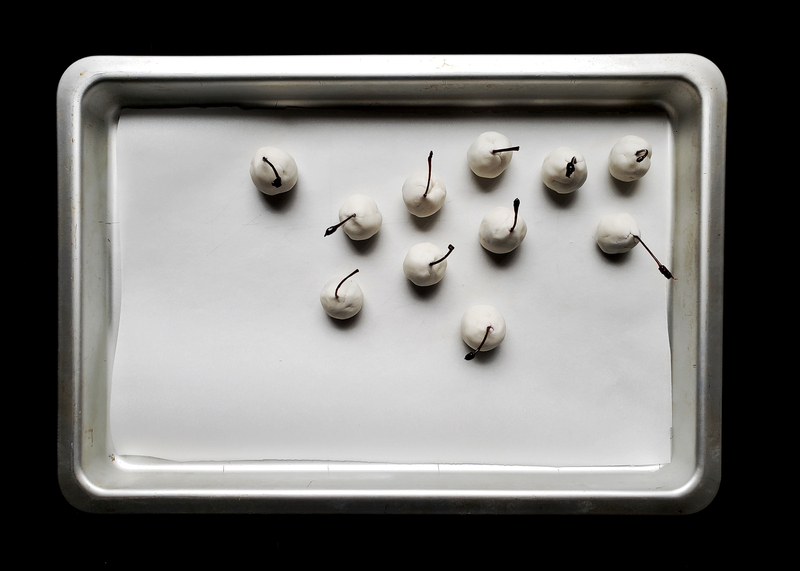 One by one, wrap each cherry in fondant smoothing to shape each cherry into a nice cherry ball. Place stem up on a parchment lined plate or pan. Place pan of fondant-wrapped cherries in refrigerator for at least 45 minutes. Melt chocolate with butter in microwave in 30 second increments, stopping between each to stir. Melt just until chocolate is smooth and stirrable, but not bubbling. Set aside. Remove chilled fondant cherries from refrigerator. Carefully dip, coat and swirl them in the melted chocolate. Place dipped chocolates back on parchment lined plate. Once all chocolates are made, return cherries to the refrigerator to harden. Once hardened for about an hour, place finished chocolates in an airtight container and refrigerate for several days. Serve.